I have just had an email from Scottish Pacific Business Finance which was headed “Invoice finance with a difference“. The addition to their product offering is a selective debtor finance option. The way that the product works is that you are able to select debtors against which to receive funding and bad debt protection, if required. You do not have to select more than one customer and you can receive 85% of invoice values as they are raised, rather than having to wait for the customer to pay. The facility will allow up to 100% prime debtor concentration, providing you take bad protection (BDP) as part of the package, for that debtor. You don’t have to take BDP for all your customers. The offering also promises no CHAPS fees, and free same day payments. 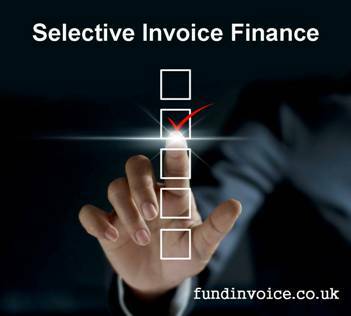 There are now a number of invoice finance companies that will allow both a selective debtor finance option and a selective invoice finance option if required. With the latter approach, you do not have to pick complete debtors to receive funding against, you are able to select individual invoices, or batches of invoices against which to be funded. There have been a lot of new entrants to this segment of the business finance market, in recent years. If you have a requirement for either selective debtor finance or selective invoice finance, please get in touch and we will be happy to introduce you to the providers that are the best fit for your business.